Before a new employee can start working at Methodist Healthcare Ministries, he must first be assigned a computer and phone and given access to all the appropriate programs he will need. In order to simplify this process, and make sure that everything is set up before the employee’s first date, Methodist Healthcare Ministries uses Laserfiche Workflow. The process starts in the HR department. Once a new employee is hired, an HR assistant creates a new, blank document in Laserfiche and appends the HR New User template. The HR assistant fills out the first section of this template with employee information such as the name, date of hire, department and hiring manager. As soon as this metadata is entered and the changes are saved, Laserfiche Workflow starts the new user onboarding process. 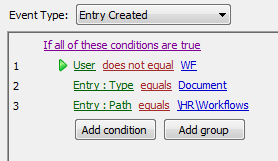 The entry is renamed and routed to the Hiring Manager folder in Laserfiche. The hiring manager is notified by email that he has a new user request to fill out. The manager has one day to fill out his section of the template, which includes questions such as whether the employee needs a departmental cell phone, what email distribution groups should the employee be included in and whether he needs access to the building alarm code. To signify that all the information has been filled out, the hiring manager updates the value of the Hiring Manager Action field to Complete. If he does not do this in one business day, he receives a reminder email. 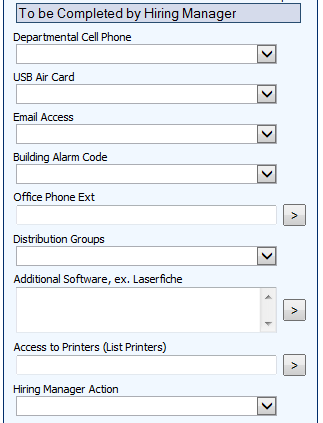 Once the hiring manager fills out the appropriate information, Laserfiche Workflow generates and sends an email to the IT helpdesk, which creates a new helpdesk ticket. This ticket contains all of the information filled out by both HR and the hiring manager. The entry is then routed to the IT folder and IT is notified of pending work. An IT technician sets up the new employee in all the requested systems and fills out the IT portion of the template with information such as the employee’s assigned computer password, cell phone number and computer type. When finished, the IT technician updates the IT Action field to Completed. If the employee needs access to the NextGen electronic medical records system, the entry is routed to Health Informatics, which creates the new user account and populates the last section of the template. 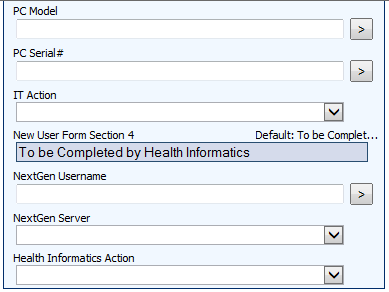 When Health Informatics updates the Health Informatics Action field to Complete, the entry is routed to the HR\Completed User Forms folder for storage and the HR assistant is notified of the completed process by email. 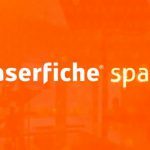 This whole process is powered by Laserfiche Workflow. 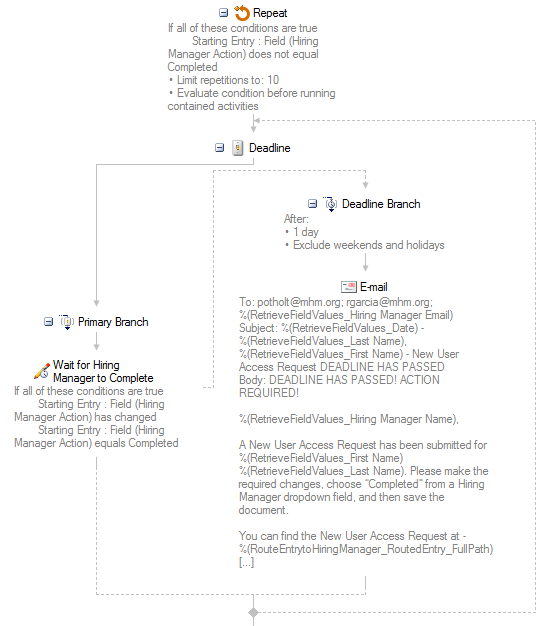 The workflow routes the entries, generates the email notifications and keeps everyone in the loop by updating the value of the Workflow Status field with each user’s action. New users are now onboarded in as little as 30 minutes (a process that used to take days). 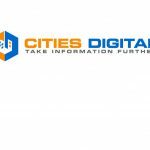 Email notifications make sure that all parties involved perform their required task in a timely matter. New employees can start working right away, as they have access to all of the technology they need on the first day. The IT department has the correct requirements from the hiring manager before onboarding a new user, eliminating a lot of time-consuming, back-and-forth communication. If the organization’s business requirements change, the workflow can be tweaked in a matter of minutes.